I’ve finally started to feel comfortable in crop tops. It’s taken a while but I’m just in time for summer. I got a couple of really cute cropped tops for my birthday and thanks to the lovely sun that we’ve been having, I’ve had the opportunity to wear them. On Sunday it was just a really chilled out day and I went out for a walk on the beach and some ice cream. I’ve had this crop top for a while. 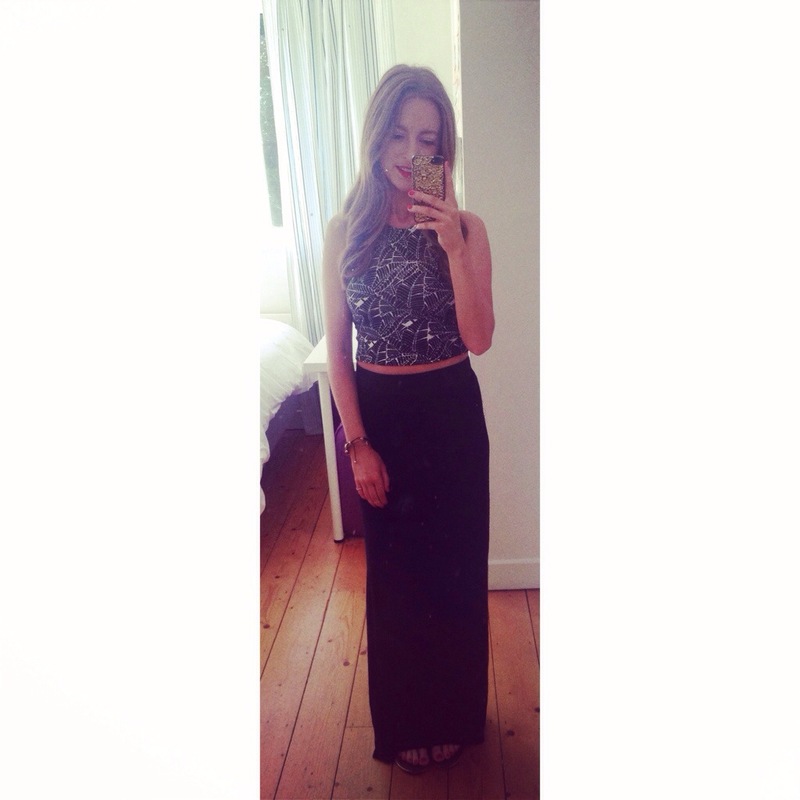 It’s from Topshop and so easy to wear. They have them in loads of colours now so I definitely need to stock up! I paired it with a long cotton maxi skirt I bought on sale years ago. Some gold chains and a coral lip brightened the whole look. For once I have a shot of my hair and make up! This lipstick is one of my favourites. It’s called Tart and Trendy by MAC and as usual, it’s a limited edition. Why do I always love the limited editions?! My hair was lightly curled the night before. I like to sleep on my curls so that they have a more natural lived in look. I love pairing long and short chains together, I think it always looks more interesting. 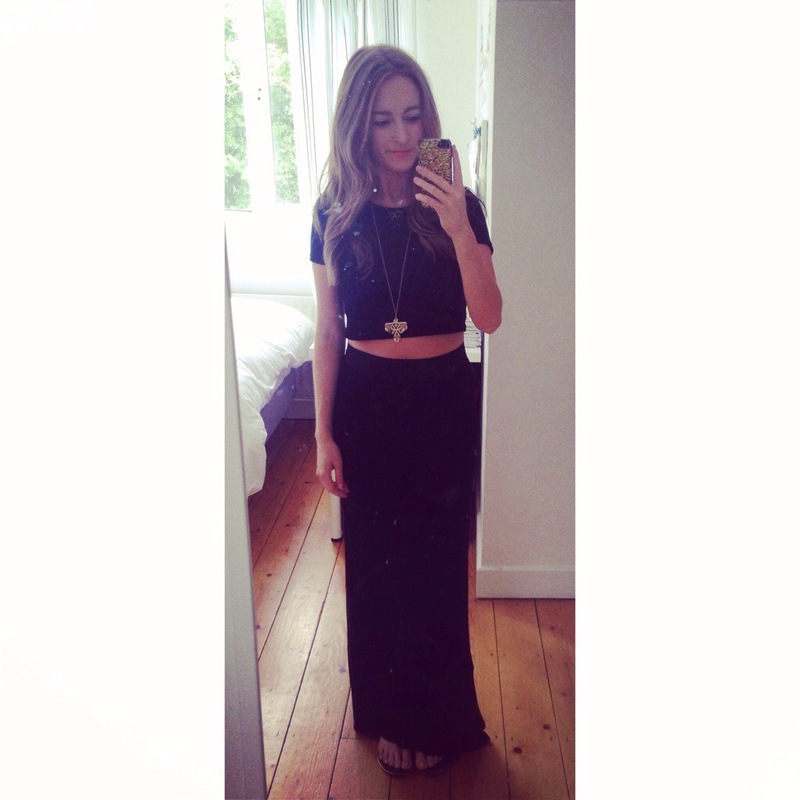 On Tuesday for my birthday, I decided to wear the same maxi again with one of the crop tops I got for my birthday. Again, as the outfit was predominately black, it needed some colours to stop it from being bland. I wore red nail varnish and MAC’s Lady Danger lipstick which is another favourite of mine. 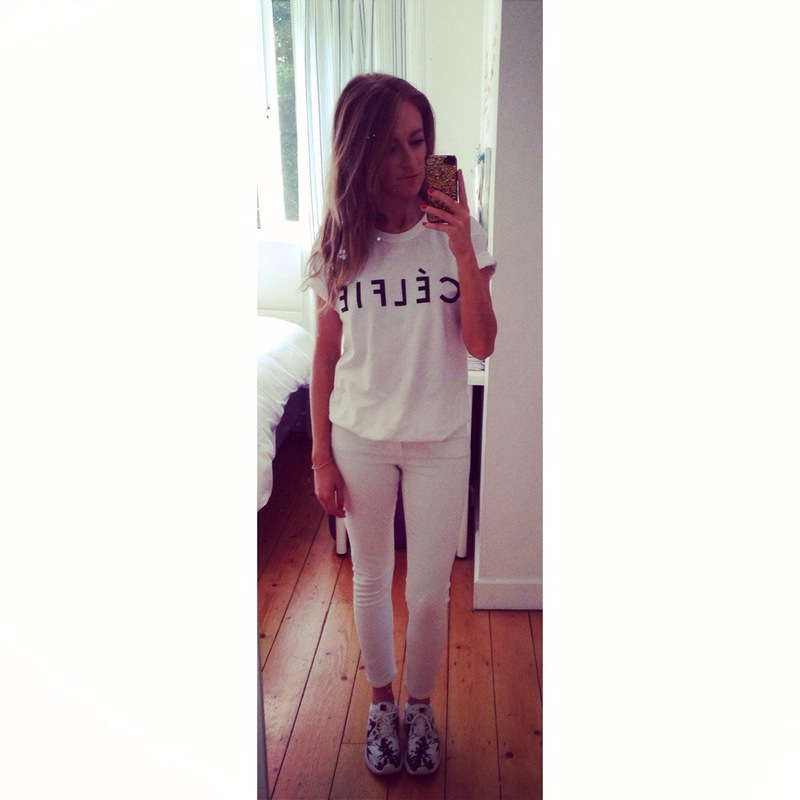 On Wednesday, I realised I hadn’t wore my Celfie tee in a while. I decided to pair it with my favourite white jeans and my Nike trainers which I’m in love with. The overall look was really fresh and clean. 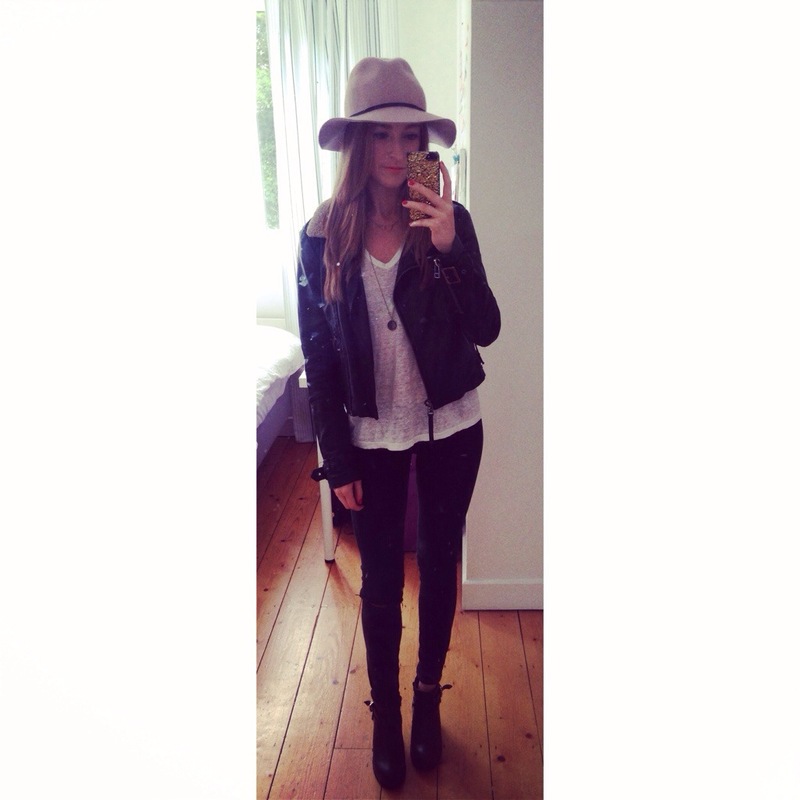 Definitely one of my favourite outfits that I’ve worn lately. Thursday was super gloomy as you can see by how dark and awful this picture is. I bought this top back when I worked in Sandro and it always gets lovely compliments. Orange and blue shouldn’t work together but it just does! It has the most amazing back which I couldn’t photograph effectively but trust me when I say its awesome. I had a long day yesterday and had so much to do so this comfy practical outfit was exactly what I needed. There was a kind of biker vibe to the whole look, which is a style that I love. I honestly think you cannot have enough leather! 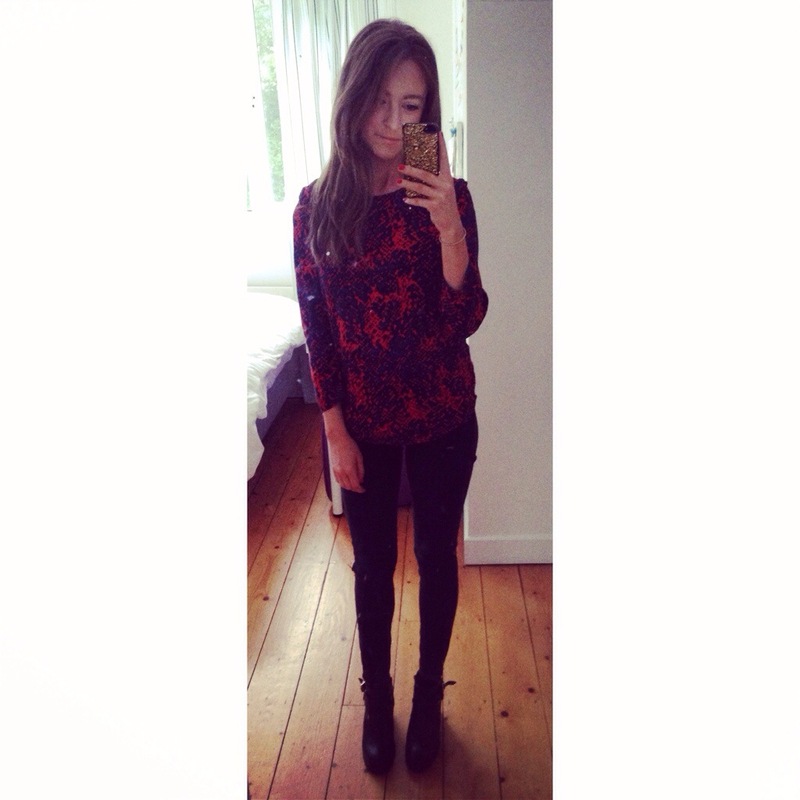 I also didn’t realise how much of this outfit was from Topshop until I started typing it out! So that’s completes another week of looks. I have a tame enough bank holiday weekend ahead of me. Have to start preparing for my holidays! So excited to head to Marbella for a week of sunshine. Dreading packing for it though, it’s not a skill of mine! I hope you all have a great weekend!